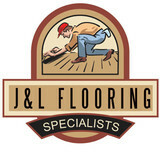 J & L Flooring takes pride in offering exceptional quality flooring services. So whether your next project is a new wood floor, ceramic kitchen floor, bath tub, stairs, backsplash etc... we are the flooring and tile specialist to call. Located in the Niagara Region, each staff member at J & L Flooring is well trained in the flooring and tile industry and each job is taken with complete care and the up most quality of service and installation. We take the time to go through the installation process we are going to take and offer our suggestions on the products you are about to buy. Any concerns or questions you have are answered before the job is started and afterwards. Started in 1952 from a small store in Mississauga with a mission to continuously serve the GTA with quality flooring products, great pricing and awesome customer service! Today, we serve approximately 40,000 happy customers per year and this number is continually growing. Currently, we have six locations in the GTA. However, HG has its expansion hat on so look out for more locations coming soon! Board of Your Flooring is your one stop design center for Flooring, Tile, Custom Kitchens, Cabinetry, Stone Veneers and More! Let us help create your perfect space. Flooring is not the only part of your renovation where we have you covered! We specialize in all types of flooring stairs and house painting. Professional installation at low prices! For the lucrative kitchens and flooring ideas, at affordable range of prices for your home in GTA, contact Bella flooring plus. In the entire Canada, it is one of the most reliable flooring services providing companies. Over the years, we have received positive reviews and feedback from our clients for our work. Our services are successfully fulfilling our clients' expectations. The teams of our expert designers will make you involve in every step of designing and you will definitely feel happy at the final execution. Whatever may be your budget, we'll deliver you the design that suits you the best. We are dedicated to our commitment to the customers and deliver them exactly in a way they dream about their house. When you’re looking for a flooring option that will add distinction to your home or business, hardwood is unmatched in its beauty. Azores Hardwood Flooring has a wide selection of plank sizes, wood species and color palettes available, offering you limitless hardwood choices for virtually every room in your home, for a commercial building or for a remodeling project. See some examples of our beautiful floors here. 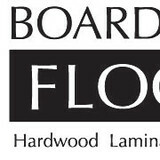 Based in Oakville, Azores Hardwood Flooring is a recognized leader in the hardwood flooring industry. Our experienced hardwood specialists have built a reputation for having an unyielding commitment to excellence, and we pride ourselves on offering our clients a warm and inviting display of the products we offer. We strive for excellence in the provision of reclaimed lumber building materials to help our customers to obtain and install the finest antique wood flooring and panelling available. 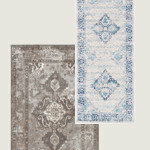 *Authorized Dealer of Shaw Floors* At The Carpet Store Inc we believe that it should be all about you. Our main goal is to do everything possible to make you satisfied. 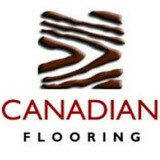 The Carpet Store Inc carries a complete line of flooring products including carpet, hardwood, vinyl, ceramic, laminate and area rugs from the world's leading manufacturers including Centura, Fuzion, Superior Hardwood, Mannington, Mohawk, Beaulieu, Twelve Oaks, Epico, Sarana, Kraus, Dreamweaver and Olympia. Since 1976, Brantford Ceramic Tile & Hardwood Floors has been a family run business. Brantford Ceramic Tile & Hardwood Floor has the largest selection of in stock imported porcelain tiles, from some of the most prestigious manufacturers in Italy and around the world Brantford Ceramic Tile & Hardwood Floors showroom is over 5000 sqft with large displays of in stock porcelain tile at Wholesale Pricing and over 1000 samples of tile that can be ordered in. If you are looking for hardwood then we have also a large display of different species and colors of hardwood floors available from different manufactures. Many of our customers have returned to us several times for their floor covering requirements. If you are looking service availability and pricing then Brantford Ceramic Tile & Hardwood Floor is the place to go for your Tile & Hardwood flooring needs. 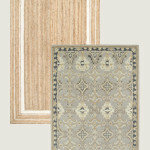 Floors are the foundation of a home’s décor, so isn’t it about time yours made a statement? You’ll find hardwood floors that do just that at Alelegance Hardwood Flooring, located in the heart of Mississauga. Bring bold style and beauty to your home with one of our solid, engineered, laminate or unfinished custom hardwood flooring options. We carry quality products from the industry’s most renowned manufacturers, and personally install everything we sell. And that’s not all—we’ll also finish, refinish and repair your worn-out hardwood floors. If your hardwood floor is looking tired from being sanded one too many times or planks are buckling and nail heads are poking through, it's likely time for a replacement. Whether you prefer traditional woods, such as maple or oak, or exotic varieties, including teak and Tigerwood, you'll find the perfect look for your style and budget at Focus on Flooring. Proudly Canadian hardwood flooring manufacturer. We specialize in Northern Red Oak, Canadian Hard Maple and American Ash, solid hardwood flooring. 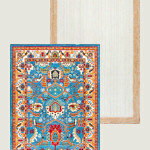 We are dedicated to supplying our customers with products of superior quality which exceeds expectations. Our grades range from Select (Builders grade) up to Select and Better (Premium) and Clear grade, with either a standard smooth finish or light wire brushed on Oak finish. 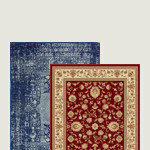 We offer an extensive collection of colours and several levels of sheen are available. Our 40,000 sq. ft. manufacturing facility is equipped with the latest technology and equipment. This ensures consistency, high quality in milling and the finishing process.